This fifteen-mile stretch of coastline is located on the northwest shore of Kauai. 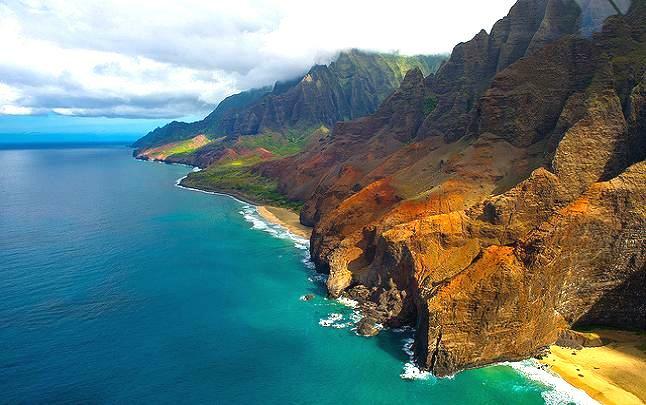 Much of Na Pali Coast is inaccessible due to its characteristic sheer cliffs that drop straight down into the ocean. This shot taken from a helicopter.